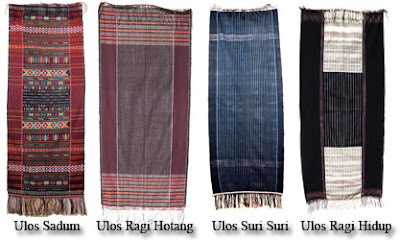 Ulos or we can say muffler of Batak, it's weaving, used in ceremony of Batak or using daily. Ulos have three color's black, red and white. 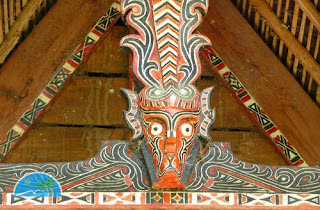 Ulos have motif and color is different it have means for using the color's and the motif. In ceremony of Batak, what kind ceremony ? Prepare Ulos that you using must be befit with the ceremony. Mostly women do weaving, with using traditional weaving equipment. Carve and Chisel Art Part of Sopo, Solu (Small Boat), ornament and other is sample of wood carve and chisel Art Batak. 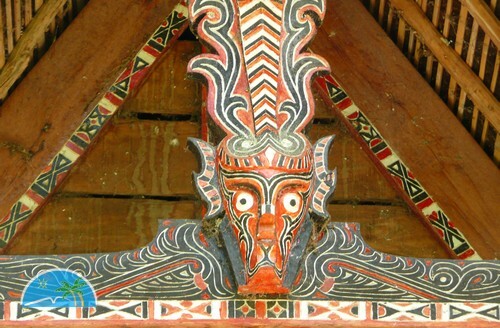 Carve and chisel art used three color's black, red, white make unique Batak carve and chisel.